Mr.Thomas Donatelli Managing Director Santa Fe (Thailand) Co., Ltd. Han Henrik Melchoir Representative of Santa Fe (Thailand) Santa Fe (Thailand) Co., Ltd. Bunruen Maruthpongsathorn Accounting Manager: Santa Fe (Thailand) Co., Ltd. Adam Sloan Sales Director Santa Fe (Thailand) Co., Ltd. Monthee Thadlai (Mon) Assistant Manager Customer Service Representative Santa Fe (Thailand) Co., Ltd. Walaiporn Tunee (Gafair) Outbound Coordinator Santa Fe (Thailand) Co., Ltd.
Santa Fe Relocations provides outsourced services to the human resource and administrative departments of many large multinationals. These relocation services focus on the management of expatriate staff to control costs and maximize the return on this human capital investment. 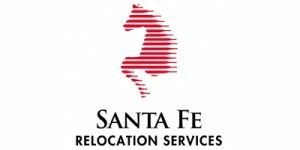 Santa Fe also provides international moving services to corporate and private customers by providing innovative service excellence. Santa Fe has grown from a single office in 1980 into an industry leader with more than 3,200 team members and offices in 56 countries across 6 continents. Santa Fe is active in a variety of community events and charitable organizations. Santa Fe funds a Johns Hopkins Singapore Research Fund, which focuses on the research and treatment of breast cancer. For every relocation handled, a monetary contribution is given to this fund. Santa Fe Relocations is listed on the Danish stock exchange. "We make it easy"